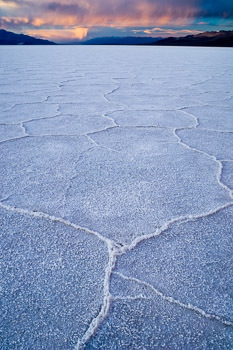 Badwater, Death Valley National Park, California, USA, February 2008. Click for a larger preview and online print ordering. I’m still processing images from last fall; here’s one from a fern grotto on Kebler Pass, near Crested Butte Colorado. Photograph made at South Point, Hawaii November 11 2007. The southernmost point in the United States, on the Big Island. I just returned from a wonderful week shooting the fall colors in Maine. New gallery is online now! I’ve been in Maine for a week, heading home today… here’s one selection from among 1500 photographs made in the last 5 days. This was on one of the nature trails around Jordan Pond in Acadia NP. Bosque Del Apache National Wildlife Refuge, New Mexico. Canon 10D handheld, 75-300 lens. Photograph made May 2007 in Bryce Canyon National Park. Canon 30D, Canon 70-200 f4 L lens. The ponds at Paradise Divide, near Crested Butte, Colorado. Canon 30D, Canon 17-40 f4 L lens. Photograph made last weekend at the Grottos area on Independence Pass, near Aspen, Colorado. Shot in color on Canon 30D, Tamron 18-200 XR Di II. Converted to BW in Lightroom, PhotoKit sharpening and minor dodging/burning in Photoshop CS3.